Ok I just finished this and its not exactly polished but fik it! 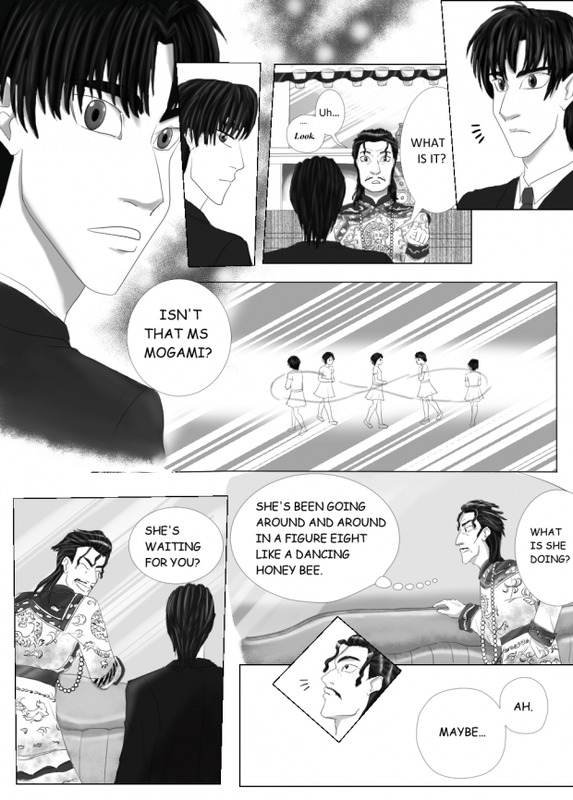 I wanted to try out the features of Manga Studio and practice drawing a manga. I haven't worked on manga/comics in years and I forgot how hard it was! When I first started I didn't know what to draw so I thought a redraw from a page of one of my favorite manga Skip Beat. This is a page from Act 77: Access to the Blue. I gave one of my manga copies to my sister Sarah and asked her to pick a random page for me because I couldn't pick one myself. And I think I did something wrong with the paneling or it glitched some where as some of the panel boxes with the diagonal sides look wobbly to me. So I colored/shaded in grey scale. Its easier then figuring out toning. You know since I want to make comics but I need practice making comics I thought I would do more redraws. Maybe I'll set it up in the fan comics section and submit future redraw comic/manga pages. What do you guys think?